Truck drivers have an important job that’s often overlooked. They’re working long hours and driving through all kinds of weather while moving goods from one end of the country to another — goods that make all of our lives better. Being away from friends and family can be hard, and their dating lives probably take a big hit as well. Who can relate to and/or accept this way of life? Another trucker or trucker admirer, that’s who. That’s why we wanted to recognize the 15 top dating sites for truckers, where everyone is in it for the long haul! While not a trucker-specific dating site, Match is the best option for single truckers because it’s one of the largest and best dating sites in the world. More than 42 million people have signed up for Match since 1995, and the site is responsible for more dates, relationships, and marriages than any of its competitors. Match is also one of the most affordable sites for truckers because it’s free to get started, search through profiles, add favorites, send flirts, and more. Whether you drive a truck or just love the open road, you’re more than welcome at Trucker Dating. Part social network, part dating site, Trucker Dating is free to join, browse through thousands of people for matches, see who’s online now, and flirt, among other things. Simply provide your gender, the gender you’re interested in, city or zip code, date of birth, username, password, email address, profile headline, and profile description. Meet A Trucker strives to help single truckers find their ideal riding partner so they can “enjoy love on the road.” The site does that by offering a free standard membership, which includes profile creation and editing, browsing, and virtual flirts (e.g., winks or smiles). 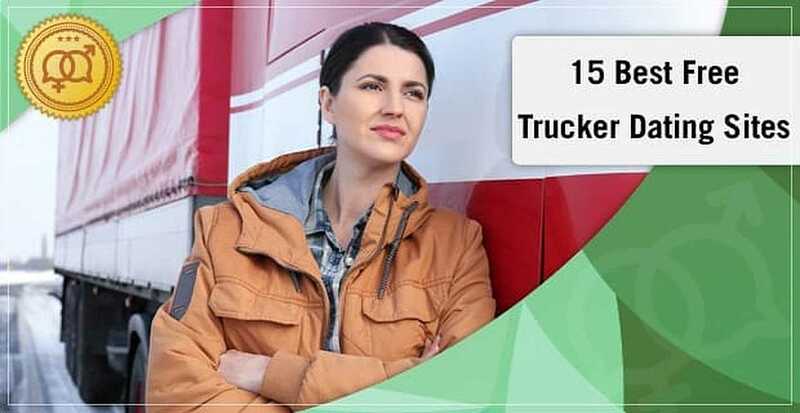 In addition, Meet A Trucker is one of many sites that are part of the Online Connections network, which means your profile will appear on all of its properties. So if you feel like expanding your options, you can. Thanks to Trucker Personals, you can “fill your lonely days and nights on the road with love.” It’ll only take you a couple of minutes, if that, to upload your information and photos and start searching by your interests and location. The site has members from all over the country and of varying ages, genders, sexual orientations, and backgrounds, so you should connect with someone special in no time. If you come across any problems, the site has a page of tips and tricks, and the Trucker Personals team is available 24/7 via the contact form. “What are you waiting for?” is the question Date Truckers asks on its homepage, and it seems like a pretty reasonable question. It won’t cost you anything to register, and some of the features include viewing profiles and photos, flirting, messaging, and blocking or reporting suspicious members. You’d be crazy not to at least give the site a try. Another perk is that your profile will be showcased in the Fresh New Profiles section of Date Truckers’ homepage. Trucker Matchmaker is the self-proclaimed “best trucker dating site,” and you can decide for yourself by creating a profile, testing out the features, and taking a look at the dozens and dozens of members. Here, you’ll find OTR, Big Rig, flatbed, and cross-country drivers as well as their admirers. Trucker Matchmaker doesn’t ask for any money — it just asks for your gender, the gender of the people you’re interested in, your location, and your date of birth. Trucker Friends Date guarantees that everything on the site is totally free — plus, it’s mobile friendly, so you don’t have to take up space on your phone by downloading an app. It doesn’t matter if you’re looking for friendship, casual dates, or love — you’ll quickly and easily find it on Trucker Friends Date. But trucking isn’t the only passion members have. According to the site, they also love to listen to music, dance, travel, and do so much more. Single Truckers’ mission is to “fix those highway blues,” so if you fall into that camp, let the site take the wheel for a little while. You’ve got hundreds of people to choose from, and hundreds more are joining the site every day. Just complete these four steps: 1). Select your gender and your potential date’s gender. 2) Choose your date of birth. 3) Provide your email. 4) Pick a screen name. Then you’re officially signed up. You can fill out more information about your lifestyle and wants, or you can go straight to browsing. At Trucker Lifestyle, you’re sure to “find yourself a new trucker romance.” Not only is this a dating site, but it’s a community where you can get to know people, find support, share your advice, or just talk about everyday life with those who are like-minded. Matching and communication tools include browsing with numerous search filters, sending flirts, sharing photos and videos, and chatting in real time. Trucker Lifestyle keeps your personal information safe, and you can determine how much is shown in your profile and messages. “Make the road interesting” with Trucker Chat City. This free trucker dating site includes webcams, private messaging, and 24/7 live chat. First, though, you’ll want to fill out a profile with details about yourself and your perfect match. Trucker Chat City is SSL secured, which means your private information will remain private and scammers will be kept at bay, and it offers an Internet Dating Safety Tips pop-up that covers topics like how to set up a first meeting. We Trucker Club understands how busy and isolating life on the road can be, which is why the site promises that you won’t have to pay to become a member and do all of the other things on the site. Not to mention the “chat rooms are always full.” We Trucker Club is also a property of Online Connections, so rest assured that your profile will get a lot of exposure. You should be in the driver’s seat of your own love life, and joining We Trucker Club can be the first step. Trucker Passions is a free dating and social media site that has private and group chats (via text, audio, and video), forums, emails, personals, friends lists, personal activity feeds, you name it. One helpful feature, in particular, is the section that shows you members who’ve recently logged in — which means you can tell who’s active on the site and who isn’t. Trucker Passions is extremely inclusive as well, offering sexual orientation options such as bisexual, transgender, and asexual. These Sites Are the 18-Wheelers of Dating! Doing what you love and loving what you do shouldn’t have a negative impact on your dating life, and, in terms of single truckers, you can have the best of both worlds thanks to the dating sites above. Keep living your dream while meeting people who get you, your job, and your hobbies. Over and out!